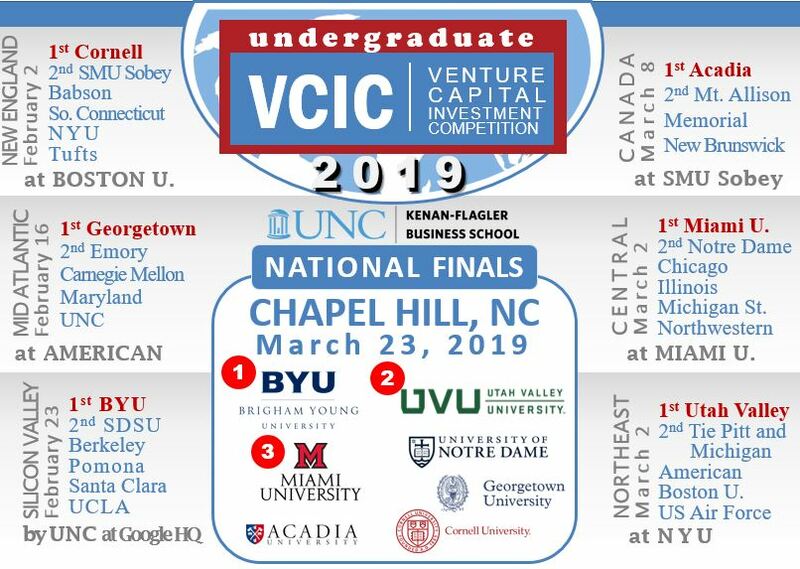 VCIC is NOT a business plan competition. You will be participating in an interactive simulation of the VC process in which the students are the VCs. Real startups (you) come to pitch and meet our VC judges. The judges are assessing the students’ performances. The event begins with 10-minute startup pitches — you are our VIPs — to a congregation of about 50 people. Think of this as a SECOND meeting, as the teams will have studied your initial deck already. We then break out into due diligence sessions. Each team will have 14 minutes with you to ask ALL the questions they have. Please do your best to answer quickly, but also respond naturally as you would to any VC firm. Spend lunch discussing your startup with our VCs. Take advantage of the opportunity to get direct feedback about the morning sessions. Don’t be shy about asking for connections! 12:30 Vote for entrepreneurs’ choice award and DONE!